Think Happy Gilmore! Need a large check for a photo-op? 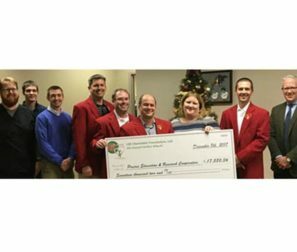 Don't want to setup the big check for printing? 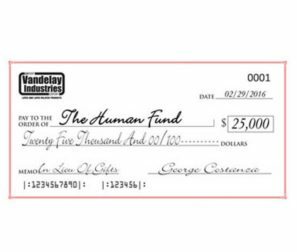 Look no further, use our online design tool to setup your own 36" x 18" Big Check. Your Check Presentation couldn't be easier using our online tool. Once you are happy with your design, submit your order and we will print the check and mount it to rigid foam core.